How, preciously, has no one mentioned laser rifles yet? There's some indie game called Fall-in nobody's heard of, just use their models. Funny that you mention this, I actually modded my own EB II music to include stuff from the music companies Audiomachine and X-Ray Dog. I'll see that and raise you one BFG from Doom II. That's right folks, the ancient Greeks shall master laser technology before the adoption and advent of gunpowder. Edit: This is what I get for posting when tired. Now I get it. Ha ha. Last edited by Sar1n; August 20, 2015 at 12:17 PM. There's a terrible lack of Lorica Segmentata that needs to be rectified: all roman units should have LS from 272 and other faction should be able to fit their native units with LS after conquering Rome. That's what I was getting at in my earlier post. Segmentata was a real thing, but it seems to be suggested all the time for Roman units and it really seems to grind people's gears. It only really grinds my gears when stupid TV documentaries show Punic-Wars era Romans wearing lorica segmentata. It does not grind my gears at all when similar documentaries and movies show lorica segmentata armor being worn by Romans in the appropriate Principate period of the 1st-3rd centuries AD. I'm reviving this thread for the time being to offer up a new worthy suggestion: EB II needs more Donald Trump. In fact, there should be a whole unit of Donald Trumps wielding hair products and sub machine guns. Other factions should be able to recruit units with soldiers who look like identical Hillary Clintons, Marco Rubios, Bernie Sanderses, and other political candidates from this US election cycle. Flying carpet riders for the Sabaeans. How about a Pergamese Empire stretching from Macedonia to the Persian Gulf and AS reduced to one territory by 248? Nah, that is not at all going too far. Now, If Hitler were to make a proposal for this game, he would make a Jewish faction and give them flaming pigs. Given that I've never seen A1 Rome take Taras since EB2 was first released, and Rhegium rarely (in a dozen of play tests to 200 turns), it seems a tad excessive. And premature to be mocking other peoples' not-so-flash ideas in general. 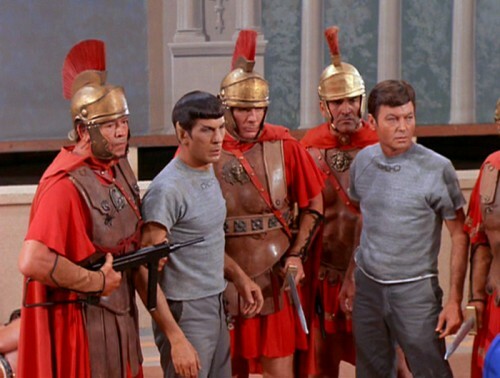 What we need is spacefaring Romans armed with 20th century weapons. There is something wrong with that Trump picture... needs more gold, only then will it be YOOGE!!! Ben Carson's faction generals should have special ability to make enemy units fall to sleep, also their generals should have more hit points due to them wearing belt buckles. This game sux no Spartans lol. Rome army has no roman armor. Where is roman armor? Where is Troy on campaign map? You should make Spartacus faction with Russel Crowe as general and sheet. Why are Carthaginians not Black? Suebi should be blonde. I play romans for 200 turns and still no Julius Caesar. Why there are no Persia faction? They had world biggest empire. I think there are still plans for a Spartan unit. Hopefully they wont be naked. So let's make a crossbow armed Roman unit. With LS of course. The losers of this epic struggle would then be promptly kicked in the groin(especially the losing general) repeatedly and the victorious army would go on their way to enjoy a nice cup of afternoon tea and toast; the most commonly found food items in EB's time-frame and geography. There is a famous inscription near Histria which quotes Rhemaxos, the starting Getic FH, as saying: "I love my tea and toast. It is the most commonly eaten snack of the Getai, Mm-Mm." very clearly suggesting an adoration for the world's only true pleasure, that pleasure being tea and toast. For this reason I believe there should be a new character trait added to this game, something like "Enjoys tea and toast" which gives 10 local popularity, +1 influence and +18 to your character's health due to the highly nutritious and popular combination that is tea and toast. More on kicks to the groin...It's a proven fact that 5/7 ancient art depictions in Europe itself had some form of Groin kicking in them. I personally think a kick to the groin, or ro-sham-bo style on the battle-field death animation should be included. The refusal of the addition of this feature to the mod will result in me posting exactly 11 tweets to my 2 followers(one of whom may or may not be my dog) about the outrage I feel regarding this and would refuse to give this mod a perfect score of 5/7. Last edited by Genghis Skahn; February 29, 2016 at 11:44 AM.